If you’re happy and you know it, you might just be in better health. A study by Harvard researchers that has been on-going for the last 80 years has revealed a simple truth: Happiness is integral to good health. Scientists began recording the health of 268 Harvard sophomores back in 1938, and they’ve been following them ever since. They hoped that the longitudinal study would provide clues to what it takes to lead a happy, healthy life. Now, just 19 of the original Crimson men remain — and all of them are in their nineties. The men have been followed for approximately 80 years as part of the Grant study, which was a facet of the Harvard Study of Adult Development — one of the longest studies of adult life. During that time, an abundance of data involving physical and mental health has been collected. In addition to analyzing the men, 1300 of their offspring were also eventually included in the study and over time, the scientists continued to expand the size of the study’s scope. In short, the study has analyzed human development over a lifetime at a very in-depth level. They’ve not only kept track of their participants’ health, but also the details of their lives — including successes and failures both in the workplace and in relationships. The findings of this enormous study have even shocked the researchers behind it. While most people think of self-care as pertaining to healthy eating habits, exercise, hygiene and relaxation, it seems that keeping our personal relationships healthy is also quite important. The study revealed that maintaining good close relationships throughout life is what truly helps people stay happy throughout their lives. Money and status did not lend a hand in determining who led a good life; a rather ironic find for a study that cost millions of dollars. Ultimately, those who reported having strong interpersonal relationships were the ones who were the happiest and healthiest. Conversely, study participants who did not have strong relationships and were isolated experienced declines in their mental and physical health as they aged. Previous findings have also shown that happiness and health are strongly related. During a popular TED talk, Waldinger explained the findings and noted that when the scientists gathered everything they knew about the study’s participants when they were all around age 50, they found that it wasn’t their middle-age cholesterol levels that predicted how their aging process would go. “It was how satisfied they were in their relationships. 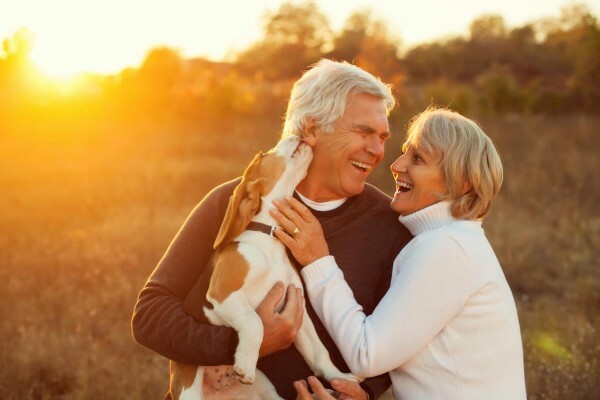 The people who were the most satisfied in their relationships at age 50 were the healthiest at age 80,” Waldinger stated.